I was on my way to work when it happened. I remember stopping to let someone in front of me parallel park, when suddenly there was a loud noise and my vehicle jolted forward. The rearview mirror went askew, the glove box popped open, and everything I had on the passenger seat tumbled onto the floor, including the tasty lunch I had just purchased. At first I had no idea what had just happened. Was this… a car accident? Did somebody just rear-end me? And then my reaction was anger. I was angry that I was going to be late to the new massage therapy job I’d had for only a week. I was angry that the car my partner and I had just purchased was now severely dented in the back. I was angry that my falafels were rolling around on the floor. But for the sake of the other driver, I contained my anger—accidents happen sometimes. I pulled to the side and exchanged information with the other driver. He had been driving a huge commercial truck, and I was grateful to have been in an SUV and not a smaller car when the accident happened. After this I spent an hour on the phone with my insurance company and was very late for my first massage client, who, fortunately, was very gracious and much more concerned about my wellbeing than she was about the late start. I thought I was fine. I thought that what I had experienced was more of a nuisance than anything. But a few hours went by and I noticed that something didn’t feel right. My spine felt sticky, and I had a strange headache that I had never felt before. My right leg, which had been over the brake pedal when the truck hit me, felt like it had been jammed up into my hip socket. I wasn’t fine. I cancelled the rest of my appointments and went to the doctor. My insurance company said that they would reimburse me for any massage treatments that I needed for recovery from my car accident, but they didn’t volunteer much information about the process. I didn’t have spare money at the time, especially since I was missing work because I was in pain. I was scrambling around to find a place that I could afford to pay out-out-of-pocket, but that was pretty much impossible. I didn’t know how I was going to be able to come up with enough money to treat my injuries, and nobody seemed willing to send the bill straight to my insurance, even though I had my claim number and all my ducks in a row. At last I found a chiropractic office that reassured me that I wouldn’t have to spend another dime. They had a lot of experience billing insurance for motor vehicle accidents in Portland. Their skill and confidence in the process was reassuring. I was able to receive 2 to 3 free massage and chiropractic treatments a week for several months. It really helped me ease my way back into recovery without having to spend money on anything more than gas and bus fare. What’s more, they referred me to an excellent attorney, who was able to get me a comfortable settlement for my pain and suffering. Nobody wants to get in a car crash. 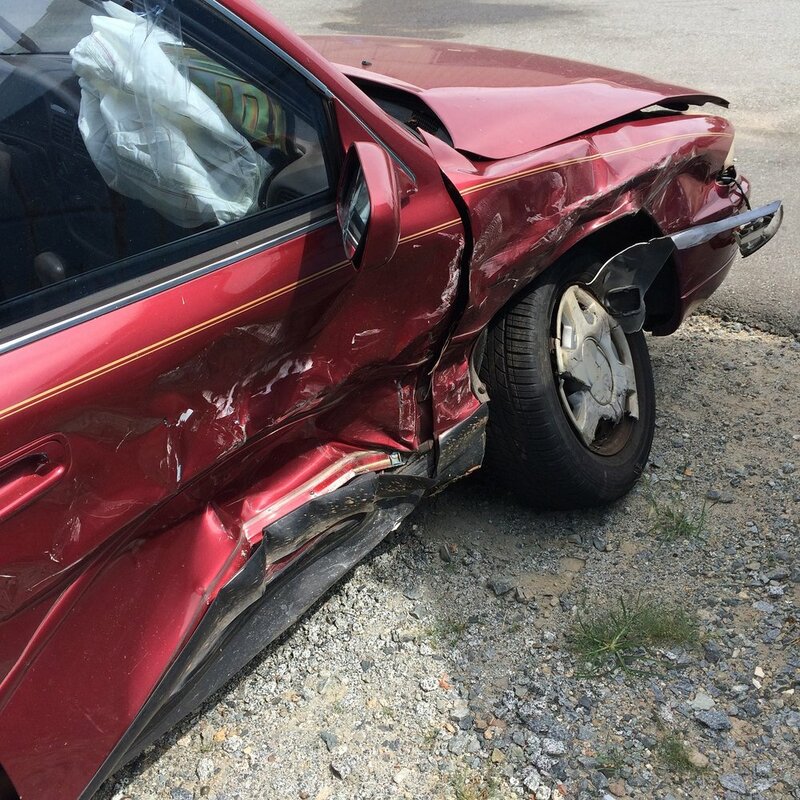 Who wants a messed-up car, an injured body, and the headache of dealing with MVA claim adjusters? I know I didn’t—I just wanted it all to go away. But I was certainly glad that the insurance and the insurance-savvy massage and chiropractic practitioners were there for me. And now, here I am, on the other end. I am grateful for my decision to persist until I got the care I needed, and grateful for the learning experience that it provided me both as a client and a massage therapist. And I feel blessed that I can pass on this experience to you and assist you in your recovery. Your car insurance allows you to seek treatment for your motor vehicle accident from any massage therapist, chiropractor, acupuncturist, physical therapist, physician, or other applicable professional healer or medical practitioner of your choice. You can get 2 or 3 massage treatments a week to help you recover. And you don’t have to pay anything. All you need to do is provide your accident claim number and a referral from a physician. Then you come in to see me for your massage treatments, checking back in with your doctor once a month so that they can monitor your recovery process. You pay for your insurance every month for exactly this reason. And if your car gets to go the body shop, why shouldn’t you? Massage therapy was vital to my accident recovery. The soft tissue work helped to relax my muscles and tendons that had been traumatized and were pulling joints out of place. The deep tissue treatments helped me to release tension and regain my strength where I had been injured. The relaxation massage assisted me in recovering from the emotional trauma of the accident, and promoted my body's natural self-healing. Please contact me if you or someone you know have recently been in a motor vehicle accident and are seeking massage for your pain and suffering. I will bill your insurance directly. Your only responsibility will be to yourself and your recovery. I am more than happy to help. It's what I do. your car gets to go to the body shop, why shouldn't you?